I will forever be thankful to my parents for struggling hard to groom me inside a private Christian english medium school – back in the 1980s, the perceived gold standard of schooling. So too should be my entire generation – thankful. What started as an aspirational step for our parents turned out to be life lottery for us. An open globalised work environment in the 2000s flowered, where lack of technical knowledge could be substituted with superior conversational, negotiation and speech skills. Data tells fluent English speaking employees earn 34% more salaries than their not so fluent counterparts. Hindi Medium underlines how that aspirational objective, three decades down, has now taken shape of an obsessive objective. Bordering on part fantasy, a high earning business couple of Chandni Chowk stretch themselves to extreme limits in a bid to get their child into Delhi’s premier school. From settling into the posh confines of Vasant Nagar into adjusting amongst the rats, stinky toilets and water scarce poor colony of Bharatnagar society. Hindi Medium is a rare family comedy movie with multiple strong messages. The movie showcases how if one rich family can adopt one poor school, the country would be freed from bad state schools. Every child in the country could then be allowed proper education – a fundamental right. Similar thought had engulfed me in 2002 – that if every family adopts a poor child, the world would be free from kids who sleep empty stomach, die of diseases or beg amputated on streets. The movie has its share of flaws – editing isn’t great, sub plots abruptly start and end, some parts are tough to believe, mood inconsistently shifts from satire to melodrama. However it has its heart in the right place, entertains the audience with satire and is strung together by series of gold standard performances. From the opening cloth store scene (superlative) to his craving for ‘Ichchadhari nag’s’ revenge, Irrfan Khan is dot on the money. It’s always a pleasure watching this talent powerhouse and experiencing every time that his long Hollywood filmography isn’t a coincidence. 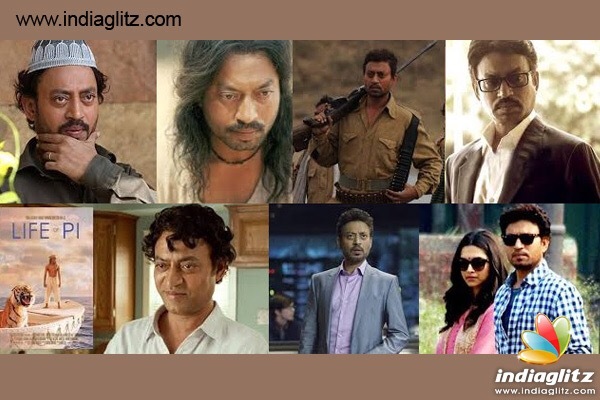 Irrfan is our leading import and best ambassador to Hollywood. Watch the way he sits on sofa after returning from school realizing donations can’t work, the way he rebukes TV channels with a ‘hatt’ or the way he sells the same clothes to the same client with more flowery language. Imported Pakistani actress Saba Qamar carries the extremes well – as ravishing posh lady and fighting poor lady. In between this, she carries her one life objective and obsession to keep her child in the English ‘class’ of life. Deepak Dobriyal lights up the second half and moves the audience in couple of scenes. From demonstrating how to enter a crowded bus to faking accident in front of moving cars to extract money, he is top notch. The movie highlights how modern schooling needs parents to go through multiple tuitions to secure admission for kids – tutors, grooming classes, fashion designers, professional writers and more. Is it worth it? Maybe. Cause that’s the demand of the world. Gloss, glamour, designer dresses, brands, western locales and english go together. That’s the ultimate aspiration for all. Like it or not. Right or not. Unfair or not. Box Office Prediction: The 23 crore INR budget film doesn’t have branded stars, gloss, glamour, designer dresses and European locales. So the appeal would be limited. It’s a rare good movie about our education system, with adequate laughs and messages. Thought provoking and worth discussing with kids. But not aspirational enough for our audiences. Singapore saturday early evening show was packed and people were laughing. Yet, likely, the movie will flop with < 20 INR crore collections, most of which will come from overseas.